Florida is a destination with endless things to offer. North Florida in particular and especially on the east coast provide ample ways to get outdoors. Due to exceptional weather year round, you can really get some activities off your bucket list. 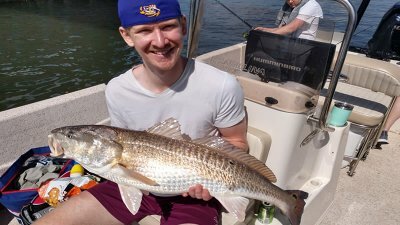 An over sized redfish fishing charter should most certainly be one of those activities. There is something about Florida waters that truly captivate you. One of the many reasons is the ability to hook into something legendary. Every cast can yield a surprise that can revolutionize the way you feel about fishing and the outdoors. Getting outdoors especially in Florida is a great way to bond with loved ones or family. Florida is known to be the fishing capital of the world. If you have an inclination to go out and fish, hop on board one of our fishing vessels for a fishing adventure of a lifetime. 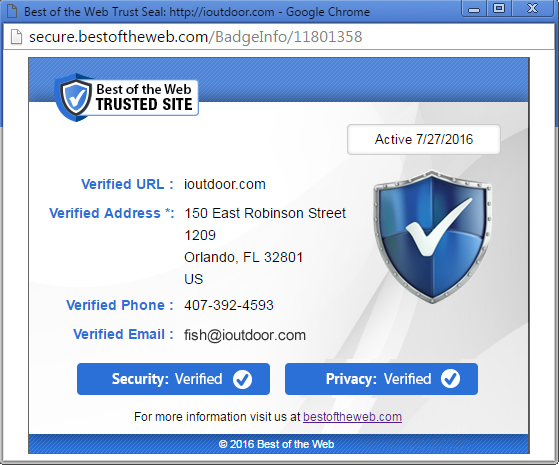 One of the best parts about fishing with us here at iOutdoor is that you can trust that you will be fishing with an expert. Our fishing Captains have years of experience. They have spent hours and days on the water honing in their craft. As a result, you are almost guaranteed the best opportunities to target the species you are after. 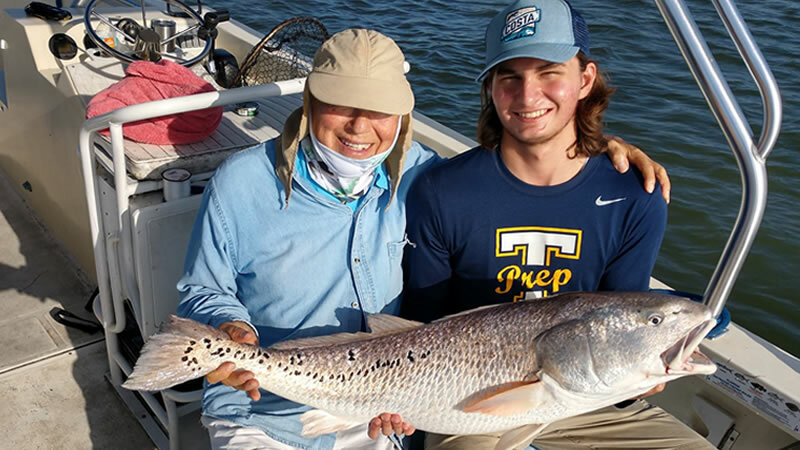 When it comes to Redfish Fishing, there is no better at fishing for them then Captain Brad Kayholm. New Smyrna Beach is home to some of the best inshore fishing for Redfish in the world. Several locations across the nation produce great action but nothing like this. 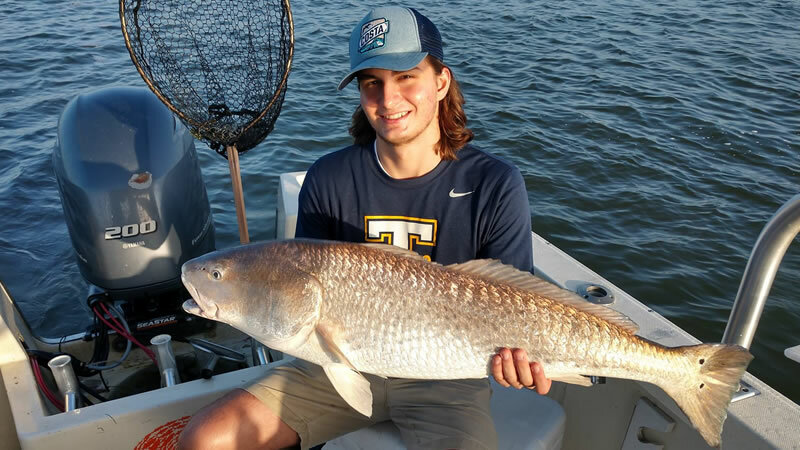 While you are here for vacation or truly searching for that trophy bull redfish, make sure you get out and give it your best chance. It seems like this time of year is one of the best times to do so. Hop on board and let your local expert cruise you to the spot where you will hook into the biggest fish of your life. Every year people travel to Florida and specifically New Smyrna Beach to come catch this Bull Redfish. A last minute change to plans led 90 year old Chris and his grandson Christopher on an amazing journey to catch redfish. Mosquito Lagoon has been one of the most productive areas to do this in the whole state. Due to the excellent conditions even though it has its water issues, you can catch big redfish here most of the year. 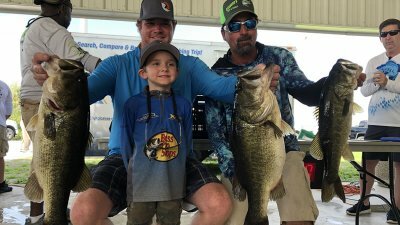 The main goal of this fishing charter was landing the biggest fish of their life. They wanted to shatter both of their redfish records. The west coast has some excellent fishing as well but nothing like this east coast action. 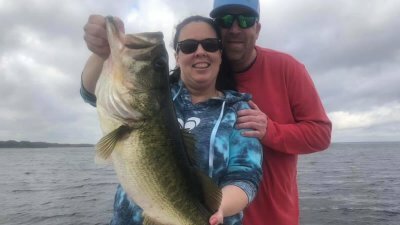 It was a must that they traveled from Tampa to search out a bucket list fish. Consequently, they ended up catching multiple over sized bull redfish. 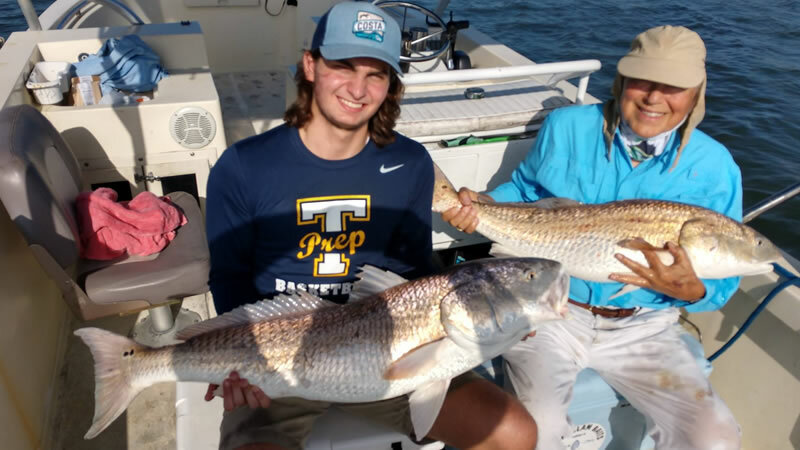 Captain Brad put Chris and Christopher on 7 oversized bull redfish. One of the fish was 46 inches long and got to live another day. As well, one of the redfish was truly unique. It had 93 spots on it. You don’t get to see or catch this quality of fish every fishing trip. If you are looking to get in on some of this fishing action, you have to Visit New Smyrna Beach. 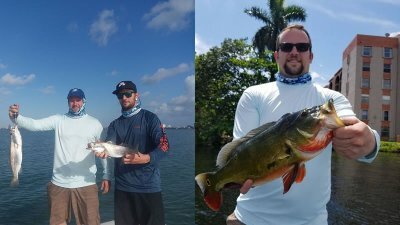 Chris and Christopher got to spend some quality time and had an absolute blast fishing this amazing place. They will be back to the east coast for more action. Captain Brad is looking forward to the opportunity to get them back on the water again soon! Don’t miss out on your fishing adventure next time you are visiting North Florida. Our Florida inshore fishing charters can bring you exceptional value and memories worth a lifetime. When you adventure out after big bull redfish, you will not be disappointed. We are looking forward to seeing you on the water next time!